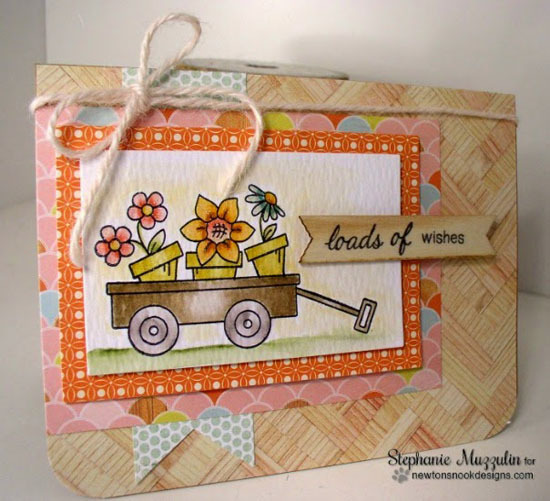 Today I'm sharing a card with a fun spring wagon full of flowers by Stephanie Muzzulin. She watercolored the wagon and flowers from the Wagon of Wishes stamp set! I love the watercoloring on the pots and the pretty colors she used! It's also super cool how she stamped the "loads of wishes" sentiment on a wood embellishment! I love that sentiment - it's nice and general so you could use this card for nearly any occasion! Perfect to have in your stash for when you need a card! The pattern papers and yarn bow give it the perfect finishing touch! To find out more about her project, head over to Stephanie's blog, Handmade Creations by Stephanie! 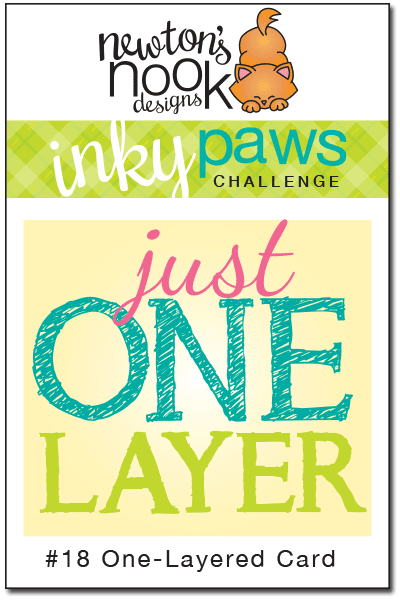 There are just a few days left - You have until Friday, March 6th at Midnight CST time to enter our current inky Paws Challenge. All you need to do is create a card or project with a JUST ONE LAYER using NND products!